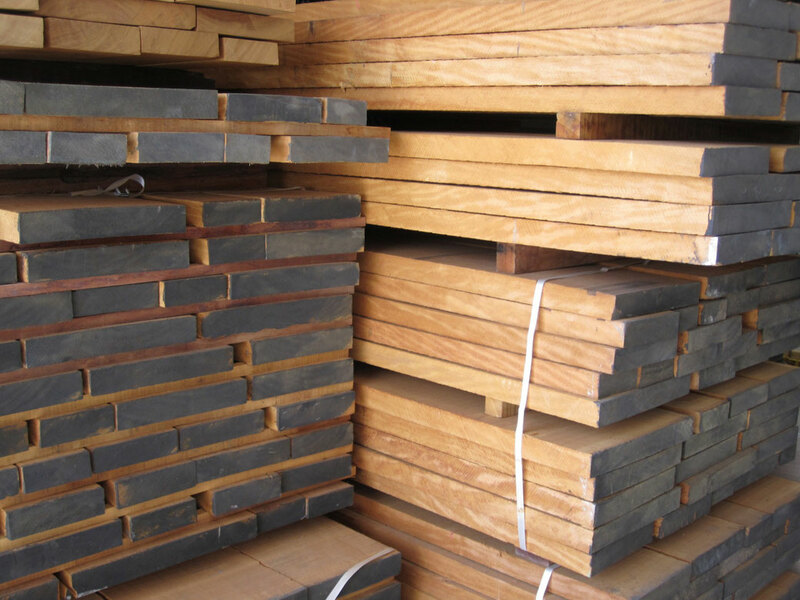 Because of the high-density and strength properties of this wood, a surface protection, such as oiling, is not necessary. With time hardwood developes the often desired silver-gray hue/patina due to weathering. If you prefer to preserve the brown shade of the wood in its natural state (in which you receive it), you have to treat the wood on regular basis with suitable hard-wood oil. Local wood, like Douglas-fir or Larch are delivered with surfaces in their natural state, because the natural greying is mostly desired. If you prefer to preserve the brown shade of the wood in its natural state (in which you receive it), you have to treat the wood on regular basis with suitable hard-wood oil. Please take into account that due to weather and environmental influences, natural movements of the wood, but also of abrasion and vandalism, oiled surfaces might wear out. As a result the surface will not remain even and has to be oiled anew. Wood is a natural product and is a subject to the conditions of physical principles which are affected by differences of temperature and differences of air humidity. We strictly reject any warranty for cracks and curves, splicing, the flaking of glaze, branches, grey-black discolouration – they can arise because of the reaction of iron ions, the shrinking respectively swelling of wood and the resulting consequences, as well as leaking of resin or tannin acid (oak). Further claims, particularly claims for damages of any kind are excluded.